As part of a Blog Tour organized by Great Escapes Virtual Book Tours, I recently read Murder by the Book – a mini-mystery by Devorah Fox. This was a light read. Candy seems to be a good person, and I would have liked to get know her better. 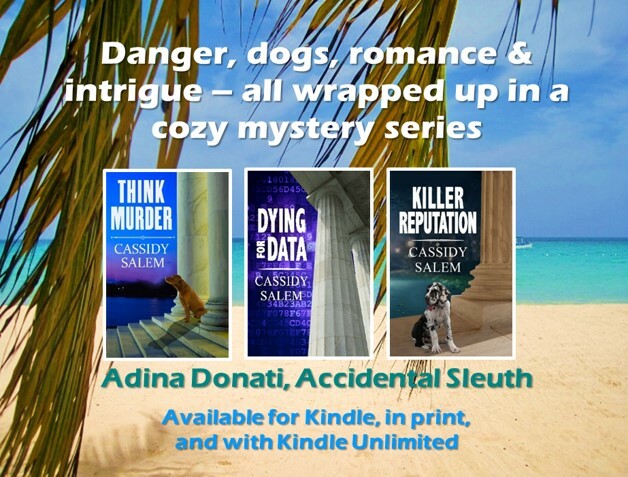 Although the answer to the question – the identity of the murderer – made sense, the path to the culprit’s discovery was a bit too fast. But I tend to prefer longer, more-developed mysteries. If you enjoy short reads, you’ll easily read this mystery in a single setting.